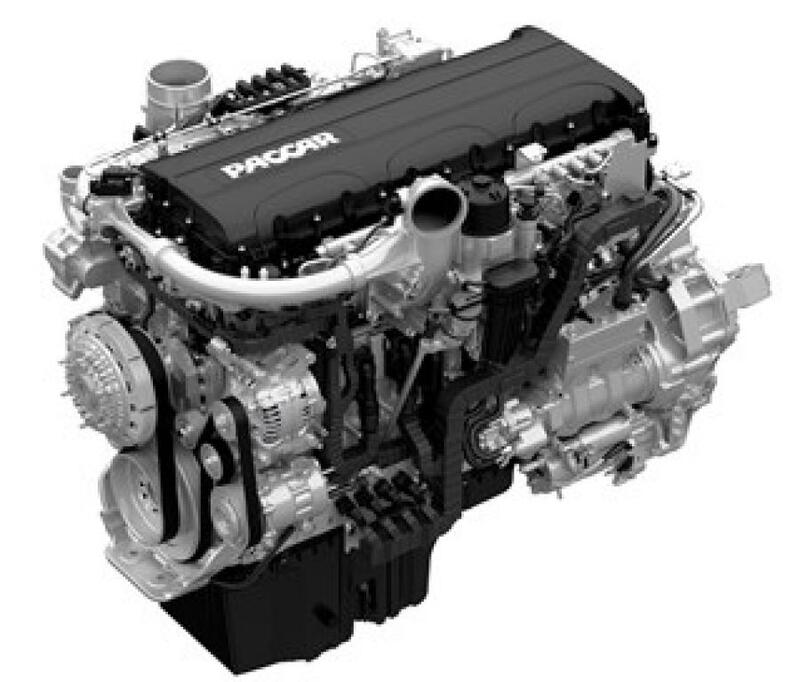 The PACCAR MX-11 is designed to produce up to 430 hp and 1,550 lb.-ft. of torque. The 10.8-L engine is 400 lbs. lighter than 13-L engines. The PACCAR MX-11 engine for vocational and regional haul customers is now available for order. Offered in the Kenworth T880, T680, T800 with FEPTO and W900S, the PACCAR MX-11 is designed to produce up to 430 hp and 1,550 lb.-ft. of torque. The 10.8-L engine is 400 lbs. lighter than 13-L engines and provides customers with enhanced payload capacity and fuel economy. The PACCAR MX-11 is available with a full array of manual, automated manual and automatic transmissions. The PACCAR MX-11 has a six-cylinder, 24-valve design and dual overhead camshafts along with high-pressure common rail fuel injection. The engine block is constructed from compact graphite iron with vertical ribs to maximize strength while reducing noise levels. The PACCAR MX-11 will be built at the PACCAR engine plant in Columbus, Miss. PACCAR successfully launched the PACCAR MX-11 engine in Europe in 2013, installing over 10,000 PACCAR MX-11 engines in DAF trucks in the past two years. The PACCAR MX-11 engine has more than 2.5 million miles of field testing in North America and more than 250 million miles accumulated in production engines in operation in Europe.